While not all of us have aspirations to be editors, I hear from lots of readers who are looking to get paid for editing in some way, shape or form. I’ve put together some suggestions of various ways you can get editing experience and recognition before you land your dream job as an editor. As someone who ran a large team of resume writers and editors for a job board company back in my corporate days, I can assure you that all of these suggestions carry weight on a resume when applying for an editing job. With more and more editing jobs offering remote/work from home and other flexible options this role as well as freelance editing are a natural extension for many bloggers. There are many traditional in-office positions out there as well. Keep in mind that there are many training classes and formal education courses on editing and many types of editing. Whether you want to freelance, work for a publisher, work for a multi-author/collaborative website, work for a corporation or any number of other related positions, these are my ‘jump in and start even if you are green’ suggestions. I wanted to reach out and let you know that I read your site often and love it. I’ve especially enjoyed reading some of the pieces from [name some of their regularly featured authors to show familiarity]. I was wondering if you had any need for some assistance in the editing department as I am willing to work without pay in an internship capacity in order to build my experience with editing tasks such as [insert main things you want to do]. I’d love to help out and am able to commit to [x] hours a week over the next [x] months. I have been blogging for [length of time] at [blogname.com] and am happy to send some writing samples or provide other information. I look forward to discussing further if you think it would be mutually beneficial. Each month Beyond Your Blog runs a contest in our Facebook Group where members post their favorite post from the prior month that was featured on a site other than their own. Four winners are chosen for social media/newsletter promotion and are featured for all eternity in our Hall of Fame. We’ve just started having a guest editor (or guest editor team) read through and select the winners each month. While this requires several hours worth of reading typically, the guest editor is promoted to the group and may have a free add run in BYBs weekly newsletter. To be considered, pitch yourself to susan@beyondyourblog.com and be sure to include why you’d be right for the job! You don’t need to be an expert, but what is your interesting background that would make participants interested in you selecting the winners? 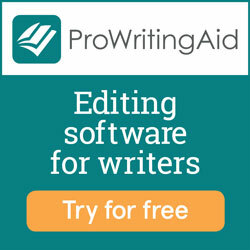 Consider offering various editing services from proofreading to structure/content editing, consultations etc. depending on what you enjoy. You can create a Hire Me page and connect it to Paypal pretty easily and then set out to get your first clients by reaching out to your social networks (think Facebook groups and LinkedIn). Consider offering deeply discounted (or free) services to your first X# of clients in return for a testimonial to get your first clients through the door. Many of us know other bloggers and writers who are interested in publishing a book and may be looking for readers to help proof and edit if their budget is small. If you don’t know of anyone, make it known in various groups you are a part of that you would be willing to read and provide editorial suggestions/proofreading for authors who have limited editing budgets. It may even be a freebie ebook or white paper they have written to drive subscriptions. Personally, I would probably do the first one for free and then up my rates as I got more experience and positive feedback. Be sure to ask for references. Anyone you do free work for is bound to give you a positive blurb that you can use on your ‘hire me’ page. Huh? Why am I writing when I could be spending time editing to get more experience? Because networking with other editors can be a huge benefit down the road when positions open up, and because when platforms hire editors, a strong writing track record (including impressive bylines) can only help. Remember that many of the editing positions also include heavy writing responsibilities. If you have a full or part-time job that has nothing to do with editing, why not see if there are any related tasks in other parts of the company that you could do in your free time and help boost your resume. Many companies have the need for proofing of marketing materials and digital copy at a minimum. Look back at the sites where your writing has already been published. Did you get along particularly well or work closely with an editor there? Why not reach out and let them know your editing goals and see if they have any suggestions for resources or know of publications looking for interns etc. The SITS Girls is a resource for bloggers to find support online and learn the skills they need to become social media savvy. They have volunteer community leads who help answer questions, chat about blogging, and write one post a month for the site in areas like blog design, social media, writing(and lots more). The best way to ensure you know when they make a call for new leads is to join the SITS Facebook Group and make sure your notifications are turned on. They are 3-4 month stints with minimum time commitments and open to interested bloggers worldwide. Although they don’t compensate, there are apparently some related opportunities that may be compensated. While this position is not not editing specific, working with bloggers and other organizational and communication tasks, wouldn’t hurt an editing resume since so many editing jobs have tasks in these areas. This would also help you make connections that might help down the road. or other low dollar service sites. While you have to have a $5 offering, it can be something relatively small and you can have upsell options. This is a good way to get some work under your belt as your own boss and make a few bucks without a big commitment to a formal employer. The other nice thing is that customers can leave ratings and reviews, so you can rack up some testimonials. For example, this ‘gig’ offers to “PROOFREAD and EDIT 1000 words for grammar, punctuation, and spelling.”. You maybe saying ‘Gee, that seems like a lot of work for $5’. It is, but check out her extras below, and this is just for proofreading. P.S., the few times I have used Fiverr as a customer for other things, I have always purchased extras. Once you are ready to look for a position, I recommend sites like Virtual Vocations or Flexjobs for flexible work opportunities offering part-time as well as telecommute options. They are not editor-only sites, but have lots of editor listings. For literary magazine positions, I would suggest subscribing to The Review Review newsletter where they often post openings at various publications, and also give you lots of lit mag news that might help you zero in on places to apply. They also promote opportunities from time to time where you can read lit mags and offer reviews, which I believe they compensate with free lit mags in some cases, so another way to get some related experience. For larger online publications, check their careers/jobs/write for us pages to see what paid positions might be available. Here are a few examples from BUSTLE, Huffington Post and Buzzfeed of dedicated pages listing staff jobs. She Knows Media (which now owns BlogHer) is another with a careers page heavy in editorial positions, and there are many more if you keep your radar on. Another newsletter you might find handy is Funds For Writers. Though aimed at writers looking to get paid to write, it lists a few jobs in each issue and they are often editing, proofreading or writer/editor combo positions. Archives of the newsletter and sign up can be found at this link. Some other small job boards you may want to check out are BloggingPro (type ‘Editor’ in the keyword search field), ProBlogger (mostly blogger jobs, but several editing jobs each week), and Bloggerjobs (search for keyword = editor). I recently found The Write Life and was blown away by all the great editor positions they have in their jobs section, which is powered by SimplyHired, so be sure to check them out too. I hope these tips are helpful and would love to hear your feedback and resources in the comments!